Excellent opportunity to become a part of Pennyfarthing's SOLD OUT The Grayson on Vancouver's Westside. Unbeatable Cambie location with the home positioned on quiet West 26th Avenue only a few short steps to Queen Elizabeth Park, Oakridge Mall and the Canada Line sky train. Spacious townhome with 3 bedrooms up, open concept main living space as well as very large bonus flex area. 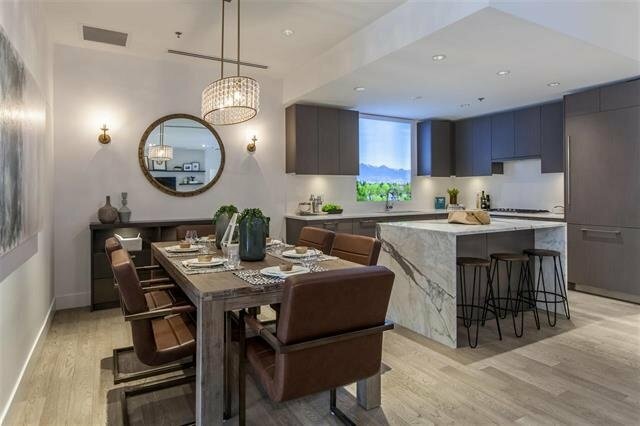 Features include A/C, up to 10 foot ceilings, integrated Bosch appliance with 5 burner gas range, & spa-like master bath includes Nuheat radiant floor heating, his and her sinks and seamless glass shower enclosure with a stainless rain shower fixture. Includes 2 Parking.